Alongside my eclectic collection of cameras which have built up over the last 35 years, I have been acquiring negatives and prints wherever I find them. Much of the collection sits in boxes that have not been opened for twenty years or so, but last week I rediscovered a box of them whilst looking for something else. I lifted a few out and held them up to the window to see what was on them and of the first two I looked at, one looked rather familiar. 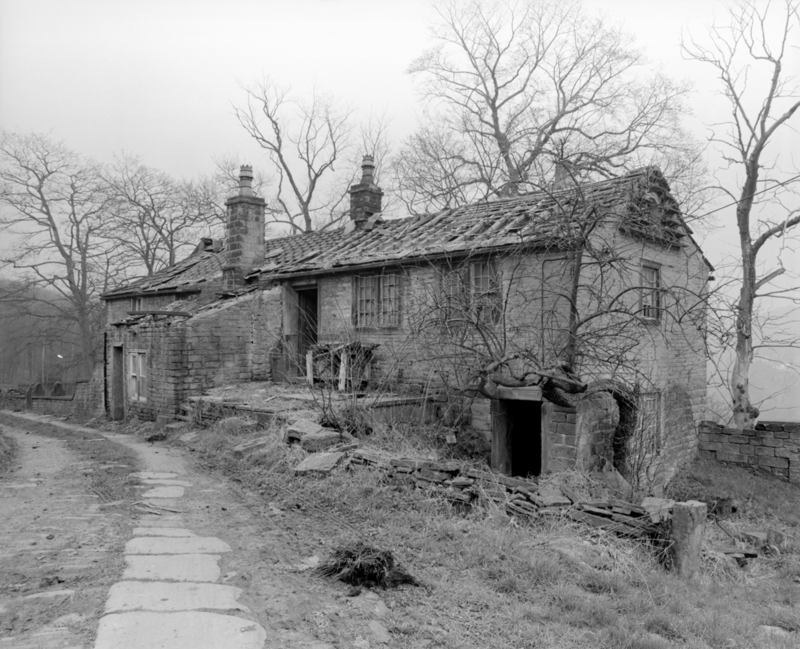 After contact printing it I realised that it was of a farmhouse which I had photographed in the late eighties, when it was very dilapidated. I found the negative and did a print off it too, noticing that I had stood almost in the same position as the first shot, taken 65 years previously. I remembered that the house was renovated a few years after I had photographed it, so I revisited it this week to get another shot from the same viewpoint. I think the three images make an interesting set. I really like the comparison between the images as a piece of history, you where lucky to find the 1923 negative, how did you find it. Glad you are back and writing. Wish I had interesting projects to work on such as this one. I posted a link to your website the other day on my face book page telling people. they should check you out as a fine artist and master printer I hope you don’t mind. 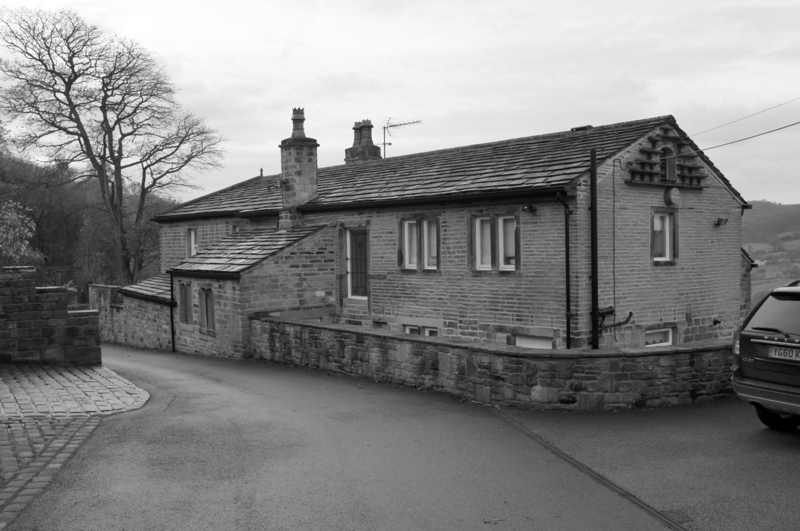 This entry was posted in Large format, Medium format, Printing techniques and tagged Cameras, Decay, Delapidation, Farnley Tyas, General, glass negative, Landscape, Medium format, Old negative, time on November 16, 2014 by andrewsandersonphoto. Just saw this post on your site. How interesting it is to look at these three photographs! The one from 65 years ago is full of character. 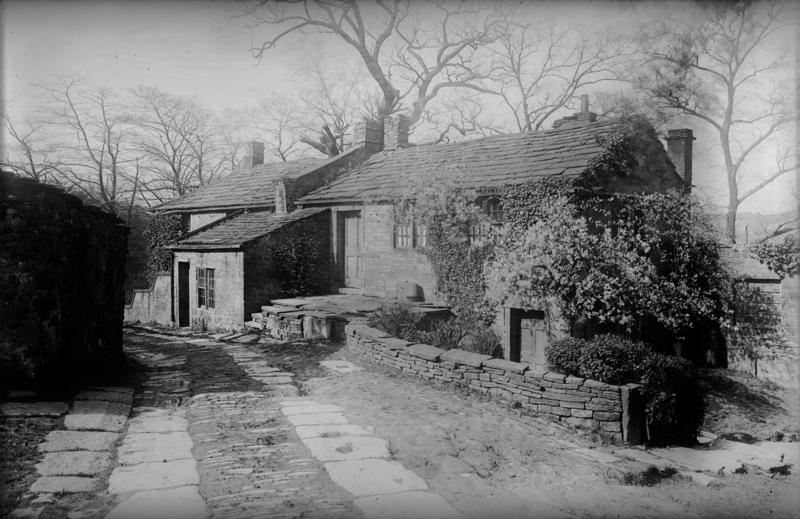 Don’t know why, but it reminded me 19th century photographs by Emerson that I love. Even the second one, of already dilapidated house, is very interesting and has a lot of charm. The way house looks today, in my humble opinion, is awful. Lacks all character, uninteresting and steril. Sad. I would prefer it to stay the way is was in the late eighties. There is a scene in one of Bergman’s movies (Wild strawberries?) where a man cleans up an old and overgrown garden in the back of his father’s old house. After having done this he sits and looks at this tidy garden and asks himself “What have I done?”.